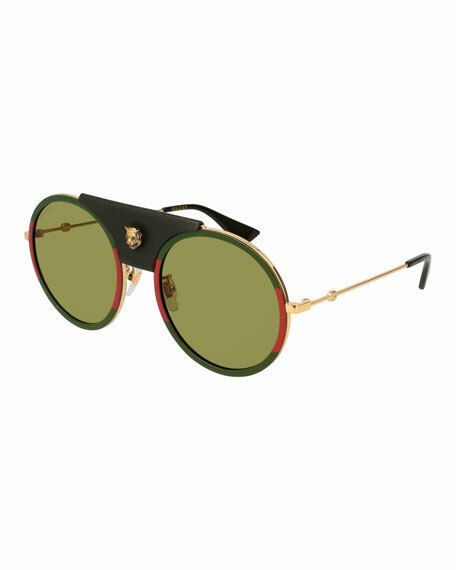 Gucci round sunglasses in metal featuring acetate Web rim at front. Leather detail at double nose bridge with metal feline head. For in-store inquiries, use sku #2455077.